You've been meaning to get to the gym. You just need a little incentive. A plate of tangy, saucy ribs with a side of hand-cut fries should do the trick. 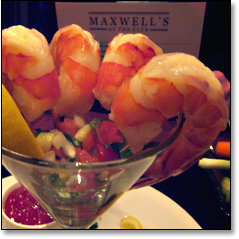 Introducing Maxwell's at the Club, the newly remodeled restaurant at the East Bank Club. It soft-launched last week and—though management's keeping this on the down-low—for the first time, it's allowing non-members in to eat. Pretty magnanimous of a fitness center known for its legendary membership rolls, where Chicago's A-List (or O-List, since sightings of everyone from Oprah to Obama are legendary) come to sweat and schmooze. But the nameless restaurant that served the club for years was due for a shakeup—and a moniker. 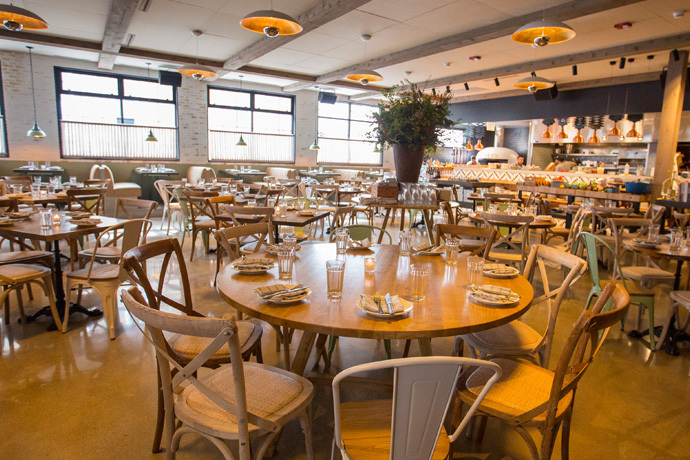 So at Maxwell's you'll find a richer, more tailored space, but the same attention-to-detail service. It's a perfect spot for you to impress clients over dinner or lunch. Black-and-white images of Chicago's trellised bridges accent spacious cushioned booths, allowing you to spread out as you work deals over colossal shrimp cocktails, crispy thin-crust pizza or a 10-ounce prime beef steakburger. You'll find it amusing that that menu spells out the nutritional content of dishes like Whole Wheat Linguine (402 calories, 6 grams of fat, 64 grams of carbs) but stays mum on fat content of dishes like the Lobster Risotto and Filet Mignon with optional lump-crab-and-béarnaise topping.